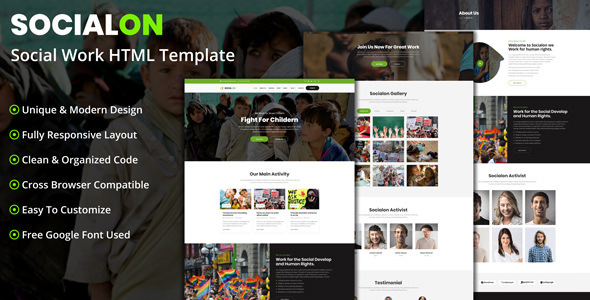 Socialon is a Non-profit Organization, social activity, Social work HTML Template For any type of non-profit / social activity / Social work Organizations. Fully customizable and organized layers will make your edition. easily get Your Dream Non-profit organizations / social activities Website Template. Socialon template coded with beautiful and clean codes! Some powerful HTML files 100% valid W3 web standards.